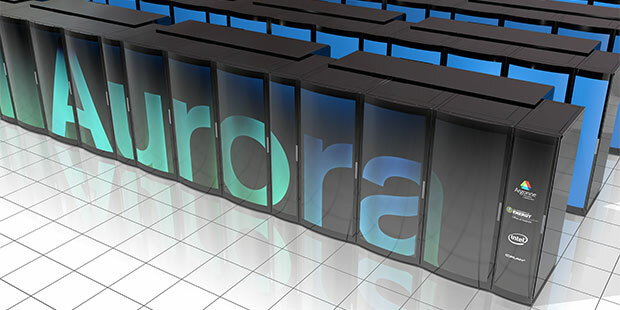 The ALCF is seeking proposals for data and learning projects to help prepare for Aurora, the nation’s first exascale system scheduled for delivery in 2021. The Argonne Leadership Computing Facility (ALCF), a U.S. Department of Energy (DOE) Office of Science User Facility, is now accepting proposals for data science and machine learning projects for its Aurora Early Science Program (ESP). The deadline to apply is April 8, 2018. Now slated to be the nation’s first exascale system when it is delivered in 2021, Aurora will be capable of performing a quintillion calculations per second. The system is expected to have more than 50,000 nodes and more than 5 petabytes of total memory, including high-bandwidth memory. The shift in plans for Aurora, which was initially scheduled to be a 180 petaflops supercomputer, is central to a new paradigm for scientific computing at the ALCF—the expansion from traditional simulation-based research to include data science and machine learning approaches. 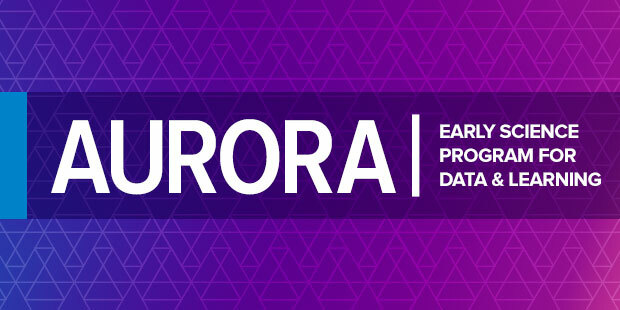 Aurora’s revolutionary architecture will provide advanced capabilities in the three pillars of simulation, data, and learning that will power a new era of scientific discovery and innovation. The Aurora ESP, which kicked off with 10 projects in 2017 , is expanding to align with this new paradigm for leadership computing. Currently underway, the 10 original projects will serve as simulation-based projects for the new system. This call for proposals will bring in 10 additional projects in the areas of data science (e.g., data analytics, data-intensive computing, advanced statistical analyses) and machine learning (e.g., deep learning, neural networks). Proposals for crosscutting projects that involve simulation, data, and learning are also encouraged. Aurora ESP projects will prepare key applications for the architecture and scale of the exascale supercomputer and solidify libraries and infrastructure to pave the way for other applications to run on the system. The program provides an exciting opportunity to be among the first researchers in the world to run calculations and workflows on an exascale system. With substantial allocations of pre-production time on Aurora, ESP teams will be able to pursue scientific computing campaigns that are not possible on today’s leadership-class supercomputers. For more information, visit the Aurora ESP webpage  and the Proposal Instructions webpage . For hands-on assistance in preparing for ESP proposals, the ALCF is hosting the Simulation, Data, and Learning Workshop from February 27–March 1, 2018. To register, visit the workshop webpage .